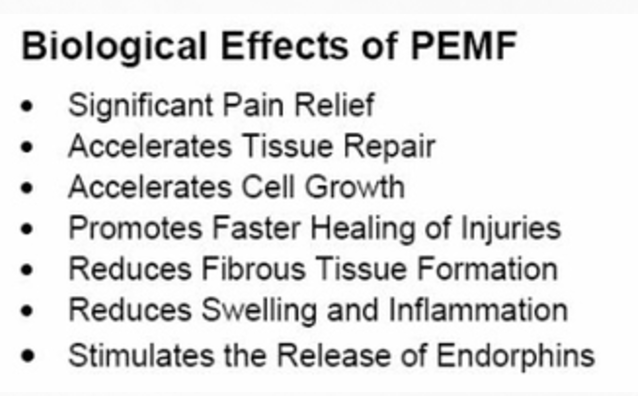 I use PEMF therapy as a non-invasive, non-pharmacological and effective treatment for many conditions. 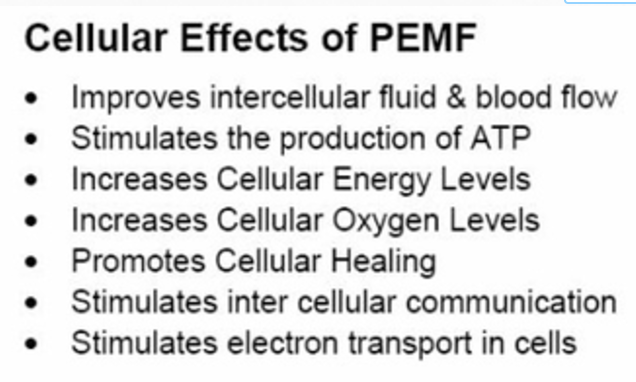 World-wide more than 2,000 double blind, university level medical studies have demonstrated that PEMF therapy is a safe and effective treatment for a variety of medical conditions, as well as to promote and maintain general health and cellular function. It is widely used on the continent and in the US and it's time to offer this highly effective treatment to patients in the UK. PEMFs can increase the effectiveness of antioxidants existing in the body up to 100 times. In other words, this therapy can accelerate healing and make it easier for antioxidants to attack free radicals – and win. Dr. William Pawluk, MD, MSc, is one of the most knowledgeable and experienced medical doctors in the field of pulsed electromagnetic therapy and has written extensively about it. Read more here. Further resources including videos are here. Osteoporosis - Osteopenia - Bone Healing and the use of PEMF PEMF within the range of 10-40 milliTeslas stimulates osteoblasts to lay down new bone. You can read about personal experiences in Dem Bones, Dem New Bones and view the research itself at Osteoporosis - Osteopenia - Bone Healing. "Joan" gained nearly 9% new bone in her lumbar spine with two years of daily treatment for 30-60" at home. While it may not be cost-effective to use PEMF in office for such a long period, providing systems for patients to use in the home promises to raise the bar in health care while lowering costs.